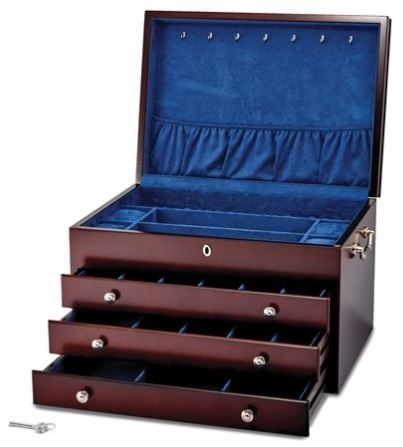 A beautiful and classically designed wooden jewelry box with locking top. Handmade locking jewelry box featuring a luxurious plush interior. 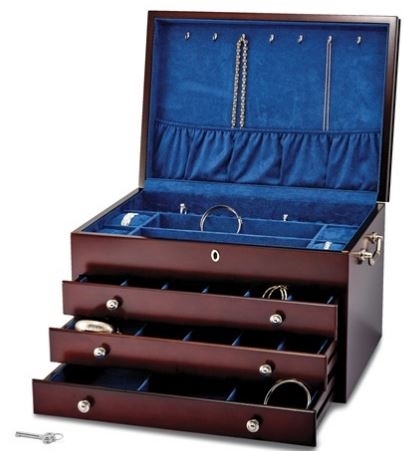 Multiple ring rolls, 3 drawers with various sized compartments, and 7 hooks with shirred necklace pouch ensures security and protection of your most valued jewelry treasures. 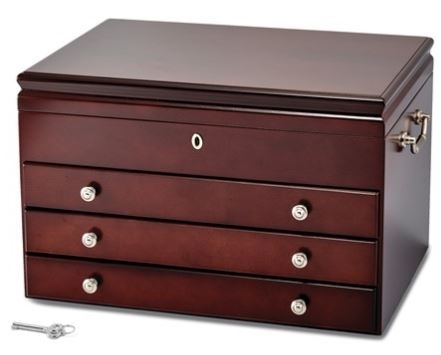 This elegant jewelry chest measures approximately 17" wide x 10" deep x 12" high!